China’s Aier Eye Hospital is looking at a new market: the U.S. Founded in 2001 by billionaire Chen Bang, Aier Eye Hospital is hoping it can replicate some of the success it’s had in China overseas. 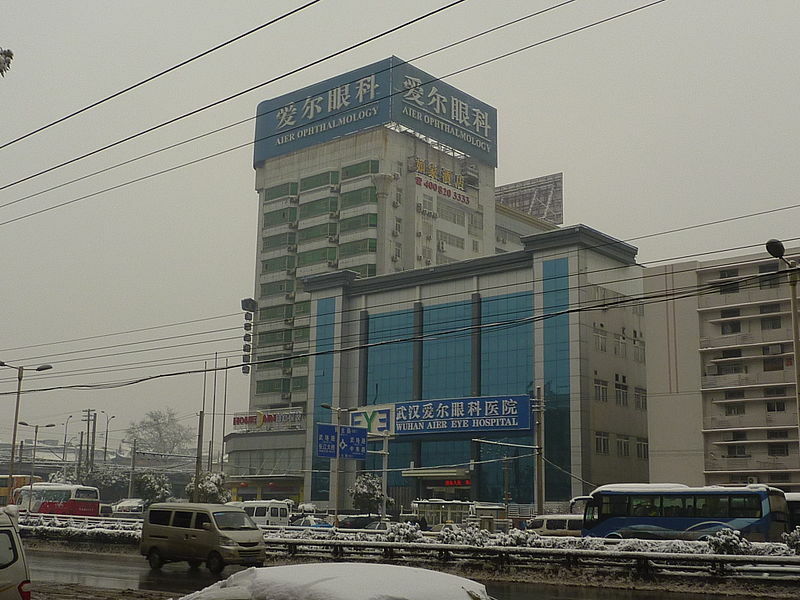 The Shenzhen-listed company is known for its network of eye hospitals in secondary cities and rural areas, establishing facilities in areas with scanty or inadequate healthcare. Today the company employs 25,000 and has more than 170 locations in China, plus 76 locations in four European countries – Spain, France, Italy and Austria. While Aier will need to make many changes to its business strategy to suit the U.S. market, it intends to follow the same philosophy that set them apart in China – favoring rural markets and small cities over saturated metropolitan areas such as New York or Los Angeles. Aier is one of a growing number of Chinese companies investing in the U.S. Setting it apart is its determination to expand into the U.S. healthcare market. Chinese companies invested a record-breaking $53.9 billion in U.S. companies last year, but most of that capital has been invested into real estate (followed by information and communication technology and then energy in a distant second and third place). According to the Rhodium Group, Chinese companies invested $3.9 billion into U.S. health and biotech companies between 2000 and the first quarter 2017. Compare that to the U.S. real estate and hospitality sector in which Chinese have invested $37.5 billion. China’s Anbang Insurance Group, which purchased the Waldorf from Hilton Worldwide Holdings in 2014 for $1.95 billion, has announced plans to convert as much as three-quarters of the rooms into apartments. Heading up Aier’s U.S. expansion is Ming Wang, an American eye doctor who immigrated from China in 1982. Aier’s first location is Wang’s eye practice, Wang Vision Institute. The transaction closed in April and is in the process of rebranding. Next, the company is looking at other nearby areas in Tennessee. I recently spoke with Dr. Wang by phone about Aier’s expansion plans, his thoughts on the differences between the Chinese and U.S. healthcare markets as well as the benefits of international investment. Ellen Sheng: Why does Aier want to expand in the U.S.? Ming Wang: Aier built a conglomerate in China based in part of recognizing and addressing the need for healthcare in rural areas. Even though the U.S. is wealthier than China, there are many parts of the country where healthcare access is lacking. Aier believes it can use its experience addressing areas of need and make a difference. Sheng: What’s the company’s strategy for tackling this new market? Wang: In a typical U.S. eye care facility, maybe 90% of patients are dependent on insurance reimbursement whereas in China, about 50% pay cash. That is a critical reason why Aier has been able to grow in China. In the beginning, the Chinese government didn’t like private healthcare groups so for the past 15 years, Aier had very restricted access to government insurance patients. Private healthcare groups such as Aier had to develop elective surgeries to survive. Now the Chinese government has opened up access to government insurance patients, but 50% of revenue still comes from elective surgery whereas in the U.S. 90% of revenue comes from insurance, which is subject to many changes. We’ve had a successful experience building medicine in that direction. The Aier eye clinics that we build in the U.S. will have significant elective out of pocket paying procedures. More and more physicians recognize that we don’t want to be subjected to insurance rules and want to maintain autonomy. Doctors want to keep care between doctor and patient. Right now there is a third party – insurance – intervening and dictating care. That’s significantly affected the quality of care in the U.S. and reduced doctors’ income. There is a healthcare trend in the U.S. shifting to patients paying more in private care. Aier’s strategy fits with this general trend toward more cash payment. This entry was posted in Dr. Ming Wang on June 9, 2017 by admin.